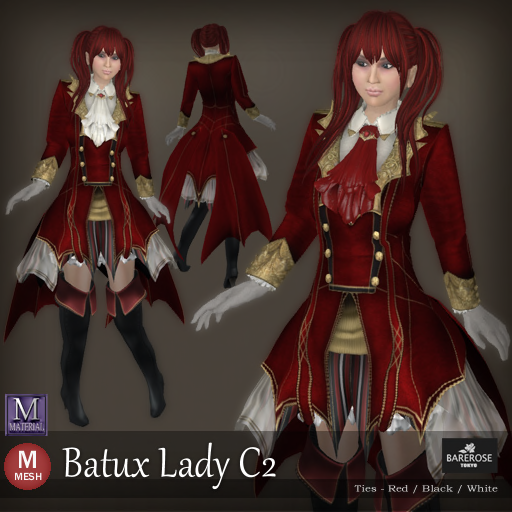 The Batux Lady C2 from Bare Rose feel like a nice dress made for the nobles and Kitty feels it has a hidden taste of a nice tempting vampire succubus in it too! 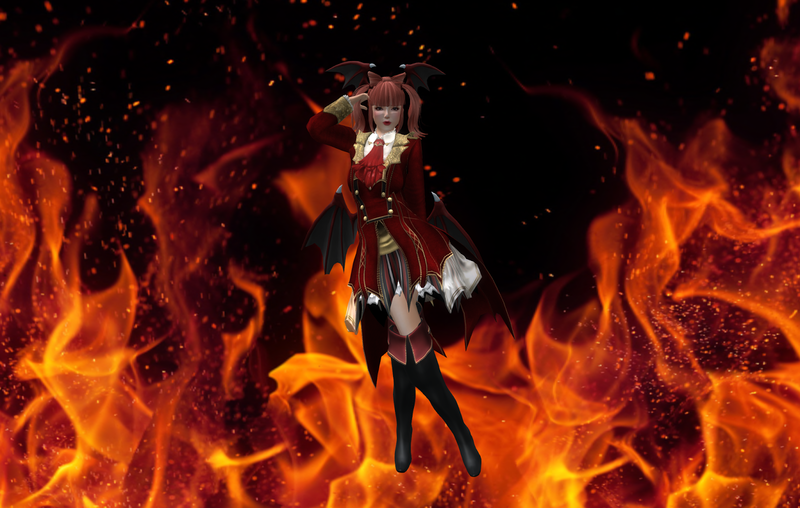 So, Kitty put on her Morrigan Wings which doesn't comes with the outfit, but no doubt it does fits the outfit perfectly and instantly transform Kitty into a noble vampiress! You should not have problem finding these wings on the market place. Like other Bare Rose outfit, the texture is detailed and feel realistic and it fits perfectly. And in almost any position too. Look at how cute Kitty is even when sited with the Batux Lady C2. The red blends perfectly with her wings and hair as well as the background. And special efforts were put in to make the dress pretty and bat like as you can see from the back how the pieces of the dress looks like wings of the bat. 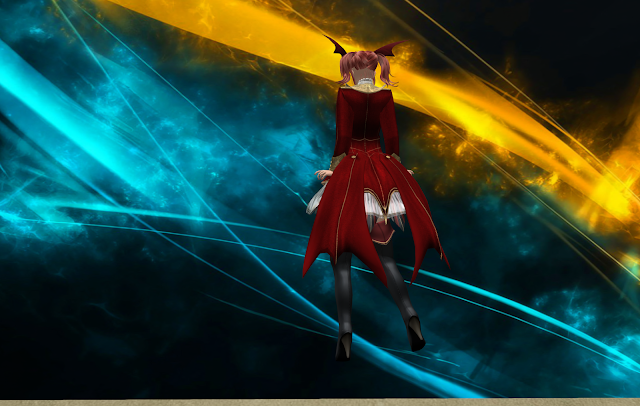 And not to mention there is also a nice leather high boots with go with this red outfit.